We’re closing in on the start of a 25 percent technology tariff on Chinese goods being imported into the U.S., and among those who could be hardest hit by the additional tax on roughly $50 billion in products are pro AV integrators—and their customers. Although these tariffs may not actually happen, it has the integration community speculating on potential impacts. The Office of the U.S. Trade Representative said the technology tariffs, which were originally supposed to be implemented Dec. 1 but were delayed as the sides tried to broker a deal, would target industrial goods, particularly in areas identified under China’s “Made in China 2025” plan. The full list does not include goods commonly purchased by American consumers such as cellular telephones or televisions, according to the office. CI checked in with pro AV community to get a pulse on how the anticipated tech tariffs could affect the industry. While the tariffs are likely to mean AV installations cost a little bit more or make the margins on these projects even slimmer than before, not everyone in pro AV is worried about the effect the new tariffs will have on the tech sector. “If anything, the tariffs are an advantage for us, because it makes the Chinese products more expensive,” says Todd Whitaker, senior VP of sales and marketing at Inneos, which develops and manufactures optical video products. Ivan Collins, CEO of Innoface Systems, says the proposed tariffs “are definitely having an impact at this point,” particularly on ceiling speakers and some hardware out of China. “The good thing is it’s universal, so everyone is going to have to go up,” says Collins. David Bishop, chief commercial officer at Pro AV Systems, said during the Total Tech Summit panel discussion on product and project margins, that some of the companies’ major suppliers have implemented “pretty significant price increases” within the past year in anticipation of the tariffs. Mike Harmon, chief sales and marketing officer at ESCO Communications, echoed the sentiments of his fellow Total Tech Summit panelists, saying preparation for the additional tariffs is all about being ready and making sure you’re communicating your plans to your customers. Along with AV, many commercial integrators are involved in security systems integration as well, another sector bracing for the tariffs. 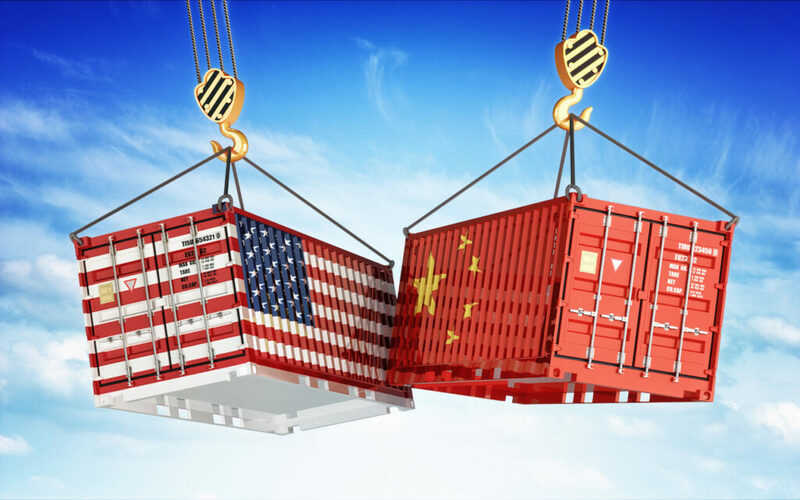 Don Erickson, CEO of the Security Industry Association, expressed concern about the new technology tariffs, in a statement he released in September, ahead of the originally planned implementation date. “Employing these measures will have significant negative consequences for the security industry and the U.S. workers it employs both directly and indirectly,” Erickson wrote. “Rather than change the unfair Chinese business practices they are intended to rectify, escalating tariffs will simply raise costs for businesses and consumers in the U.S.
“The administration should focus instead on working with industry and international trade partners to develop a joint approach to press China to make changes on issues of mutual concern,” Erickson continued. SIA and its member companies “favor open markets, competitiveness and innovation as well as effective protection of Intellectual Property Rights (IPR), which are crucial to the business models of many of our members, both in the United States, China, and elsewhere,” wrote Erickson. The SIA CEO foresees potential harm in regard to the supply chain as well as the cost of implemented goods on projects. “We are very concerned with the Administration’s decision to impose another series of unilateral tariffs on an additional $200 billion in Chinese imports,” Erickson wrote. “This proposal for additional unilateral tariffs does not adequately consider the global value chain for the development and manufacturing of security products and security systems integration. Whitaker says many of Inneos’ customers have asked him about the company’s plans for increasing prices in the wake of the planned tariffs. Many companies are altering their price structures, he says, to make it obvious the increase is tied to the technology tariffs. He’s not sure yet whether Inneos will raise prices in conjunction with the tariffs. “The tariffs will highlight the companies that manufacture overseas but sell here under their own brand,” says Whitaker. Some companies, he says, are considering adding tariff surcharges to their products. There are also customers who would rather buy products manufactured in the U.S.
“The impression is they’re higher quality,” says Whitaker. Whitaker expects it to be two years before companies and consumers believe the tariffs are permanent. It’ll be at least that long before we see anyone make a major shift in their buying decisions, he says.